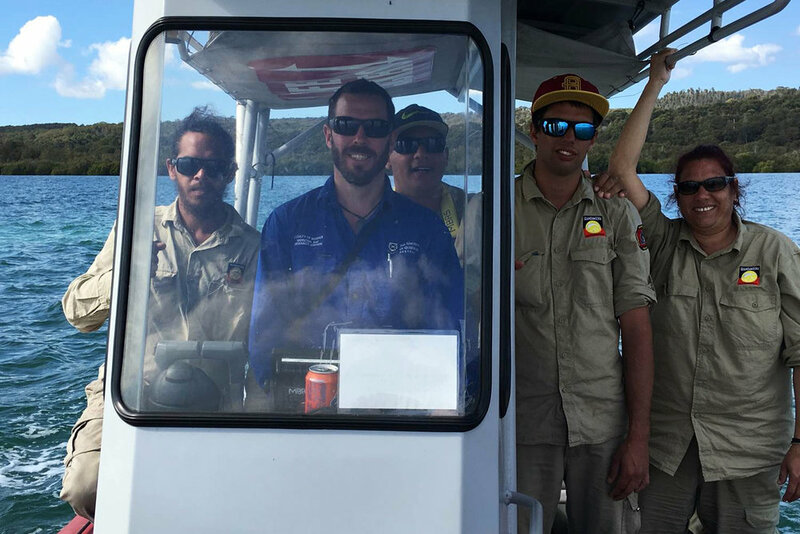 A lot can be done in 10 years and the Indigenous Land and Sea Rangers have proven it. They’ve protected almost 5000 turtle nests from threats such as feral pigs, removed more than 110,000 feral animals across 27 million hectares of land and collected 27 tonnes of discarded fishing nets from Queensland’s ocean foreshore. NPAQ applauds and thanks the rangers for their efforts and we also congratulate the Queensland Government for recently finding an additional $8.1 million over four years for the program, to increase full-time ranger numbers from 76 to 100 … one of the few real positives for conservation in the 2017 State Budget! Marine turtles are undoubtedly one of the biggest benefactors of the program. Pormpuraaw rangers have taken measures, such as installing metal cages, leading to an increase in turtle hatchings from 2500 in 2014 to more than 10,000 the following year. In addition to protecting turtles, dealing with feral animals and removing ghost nets, the vital work undertaken by Indigenous rangers includes helping with species conservation by rehabilitating land and waterways, controlling weeds, conducting fire management programs, fencing off wetlands and managing the impacts of visitors to national parks. The program’s benefit of course extends beyond conservation, greatly assisting the rangers and their communities. It enables Indigenous men and women to be gainfully employed in a way that strengthens their pride and connection to their country, as well as allowing opportunities for sharing their cultural heritage and knowledge. As such, working with schools to educate young people about the importance of caring for country is arguably among the most important part of the rangers’ roles. More than 5700 schoolchildren have been engaged in Junior Ranger programs. In marking the 10th anniversary of the Indigenous Land and Sea Rangers, at NAIDOC Week celebrations at Parliament House, Environment Minister Steven Miles also announced a $500,000 grants program to help more Indigenous communities with conservation projects. This additional funding is designed to complement the work of the rangers by enabling other groups to also carry out land and sea management activities. Meanwhile, an upgrade to the Lake Eyre Basin rangers’ base has been part-funded by the Queensland Government’s Building Our Regions program ($70,000) alongside contributions from Longreach Regional Council ($40,000) and the Dugalunji Aboriginal Corporation ($30,000).